One can hardly walk through the city these days without spotting someone who is homeless. 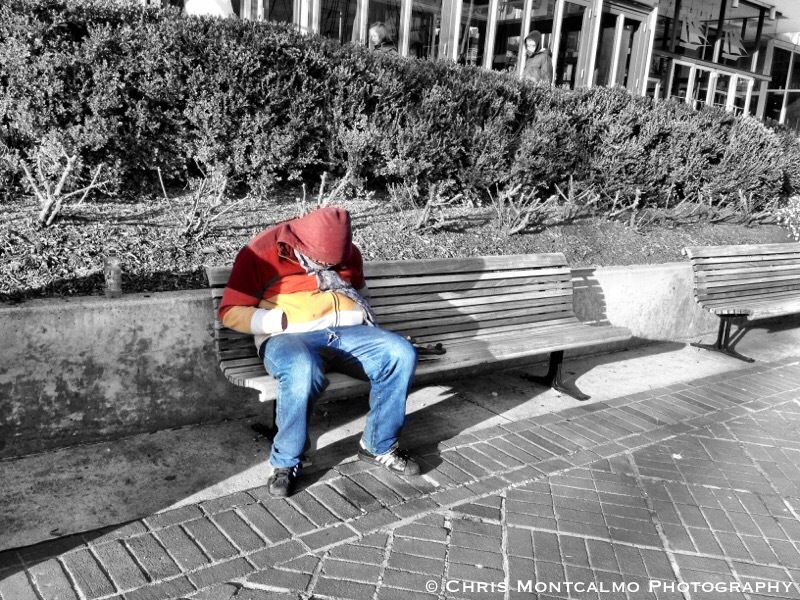 I spotted this man sitting on a bench at the Inner Harbor in Baltimore, MD. Rather than ignore him as countless others have done, I used color to draw attention to his plight. The children looking on in the background makes for an interesting juxtaposition.